Are you searching for a Jaguar dealer in CT that can offer a wide range of Jaguar finance options? 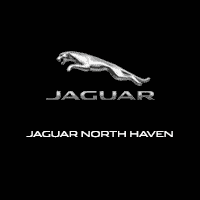 At Jaguar North Haven, we offer competitive financing rates and terms on our great selection of new Jaguar models, as well as certified pre-owned and used trucks, cars, and SUVs near Wallingford. Our finance experts are here to guide you through the financing process or leasing process and help you get into your new vehicle. Looking for a Jaguar offer in New Haven? Explore our new vehicles specials. Browse our large inventory of new Jaguar models for sale. Apply for financing online from the comfort of your own home. Take advantage of our payment calculator tool to estimate your monthly payments. If you have any questions about Jaguar finance options along the way, contact your local authorized Jaguar retailer! Our Jaguar Finance Center can help you lock down ideal financing rates on your dream car.